Mockingjay Part 2 - Obviously this deserves the top spot. This series is one of my all-time favorite adaptations and I need the closure that the final installment will bring. 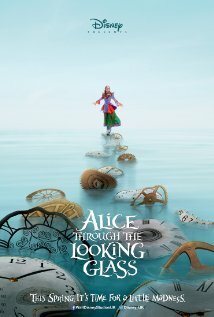 Alice Through the Looking Glass - Ok, so I wasn't the biggest fan of the source material but I adored the first movie! I'm hoping that the sequel will deliver too. Beauty and the Beast - I'm not always keen on every fairytale remake/retelling but I have to admit that I am looking forward to this one. The cast is stellar and it might just be amazing. A Monster Calls - This book brought on serious feels and well, in the movie the monster is going to be voice by Liam Neeson! Yes please! The Maze Runner - I really want to read the books first and with every new film, I get more and more tempted to check out the movies and see if they're for me. 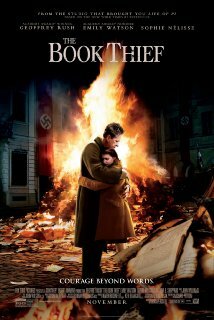 The Book Thief - I have yet to read the book but as soon as I do, I'll be watching the movie. This is one of the glaring holes in my bookish repertoire. The Girl with the Dragon Tattoo - Yet another book that I have yet to read, and yet another film that tempts me to watch it before I read the book. This isn't my usual genre so maybe starting with the movie would make me want to read the book more. The Maze Runner and Divergent for me, I actually liked the Divergent movies although I know not everyone . 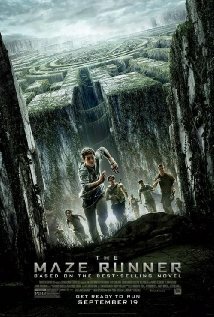 Maze Runner I haven't really felt the need t oread, but the movie looks good, and so does the 2nd one. Fantastic Beasts looks AWESOME! 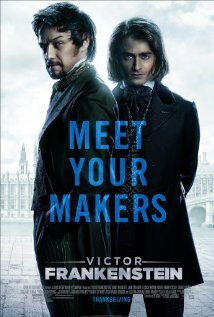 And I was thinking the same thing about Victor Frankenstein when I saw a commercial for it on TV the other night- excellent casting, lol! I love James McAvoy, too, and he and Daniel Radcliffe look like they're going to be a great on-screen duo. Completely concur with your top 5 most anticipated movie choices! As for The Maze Runner, fun book, fun movie. 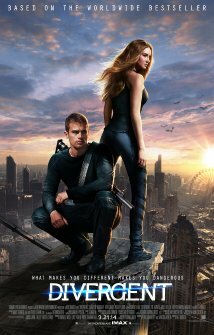 I was also fairly entertained by Divergent and Insurgent movies, though I'm not too keen on Allegiant as it is and breaking it into two... yikes. And I think the Girl with the Dragon Tattoo movies (both the original Swedish version and the American version) are worth a watch even if you haven't read the book yet. They are great movies and great adaptations of the book. 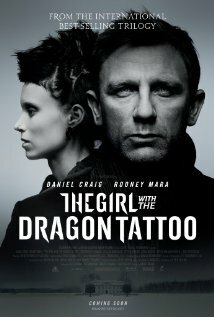 Did you know that The Girl With the Dragon Tattoo is also a Swedish movie? Made in the streets where Lisbeth and Michael had their adventures? I have the movie, but I haven't watched it yet, because I loved the series so much! 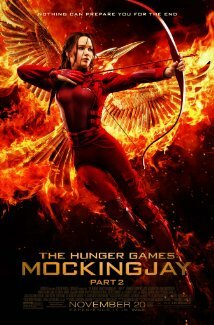 I agree about the Mockinjay Part II! I just cannot wait to see that one :) And I enjoyed Divergent, haven't watched Insurgent yet, though. I haven't read The Maze Runner but I saw the movie and liked it a lot! It's so action-packed and I loved the characters. As for Divergent ... my feelings about the series are remarkably similar to yours (OH MY GOD Allegiant was BAD). The movie... eh. It's all pretty people and dystopian landscapes but it doesn't really bring anything new to the table, if you ask me. As for the others you mention - I am impatiently waiting for Beauty and the Beast, too, and after seeng the first shots of Fantastic Beasts, I can't tell you how excited I am! That will be EPIC. The next Alice movie does look good, and I did like the first one.